Meet Fall 2011 Flash Fiction Contest Winner, Suki Michelle! Suki Michelle is the co-author of the young adult urban fantasy, The Apocalypse Gene (Parker Publishing, Inc. 2011), on which she collaborated with her husband, Carlyle Clark. Their current co-project is a collection of speculative fiction stories set in the town of Redemption, Arkansas in the 1930s. Suki has two novels in progress and is a published poet. She owns a medical transcription company and works as a ghost-blogger for a Chicago celebrity. Suki is most proud of her beautiful daughter, Bree, who will soon complete her nursing training. Her passions include people-watching and chocolate. WOW: Congratulations on winning first place in our Fall 2011 writing contest! What inspired you to enter the contest? Suki: Thank you so much for the congratulations. The win was quite a thrill! I wrote this piece as an exercise to see if I could express the feelings of a highly creative but lonely child. 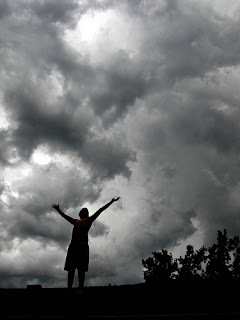 While the facts of the story mostly fictional, the atmosphere and emotional elements are real. Also, I had previously earned an Honorable Mention in an earlier WOW! 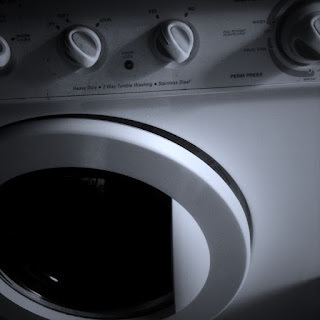 Flash Fiction Contest, and I wanted to try again after another year of learning the craft. I was happy with the piece after at least a zillion edits (mostly deletes). WOW: We're so glad that you decided to try again! Can you tell us what encouraged the idea behind your story, "No One Told Me Stories? " Suki: I was trying to pinpoint the driving force behind my desire to be a writer. It began with a love of stories. My father was indeed a surgeon with an eidetic memory, though he behaved much better than the father in the story. My mother was very engaging, unlike the fictional mother. I was always encouraged to read and had many books. My grandmother often told me stories about her life in Russia during the pogroms and her experiences as an immigrant landing on Ellis Island as a young girl. Those stories were probably the first to both terrify and inspire me. Suki: Flash fiction poses a specific challenge. Every word must earn the right to live on the page. If you write some scintillating prose, the best ever, but it doesn’t contribute powerfully to the piece, DELETE! If it’s fluff, DELETE! If it’s repetitive or dull, DELETE! What remains must have voice, a message, subtext, imagery, texture, rhythm--all the elements of solid writing, but economical and concentrated. Flash fiction is closest to poetry in that regard--the fewest words for the most impact. These principles carry over into everything one writes. Also, writing flash fiction is great practice for synopses and query letters. 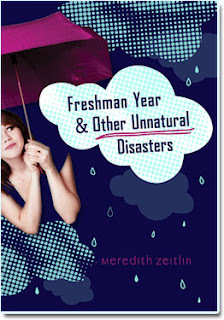 WOW: You’ve co-written a young adult novel that’s received many positive reviews. What do you think makes for a successful collaboration on a big writing project? It seems like it could be pretty tricky making it work! Suki: Carlyle and I have complementary skill sets - the key to our successful collaboration on The Apocalypse Gene. Carlyle’s forte is plot design. He knows how to unwind a story and where to plant “reveals” and backstory. My strength is in characterization and setting. We both have insane imaginations but very different personalities. I’m outgoing and impulsive. He’s introspective and thoughtful. I draw him out; he reins me in. The Apocalypse Gene centers around a girl with the ability to see psychic auras. She lives in a world beset by global pandemic, and her psychic abilities make her environment all the more dismal. It was interesting to explore the conflicts she faces, especially when it becomes her mission to stop the pandemic, which she discovers is far more than a mere disease. As you say, co-writing was sometimes tricky. It was an ambitious project and took three years to write. Did we ever argue? Ummmm no? Okay yes. A lot. But we respect each other, and we were eventually able to reach consensus without compromising our individual visions. Interestingly, we didn’t set out to write for the YA demographic. We just had a story to tell. Genre categorization came later. WOW: What was the road to publication of your novel like? Suki: We began by querying every agency we could find that represents writers of speculative fiction. Many requested the manuscript, either partial or full. The rejections poured in. That was a harrowing experience. Sometimes I had meltdowns, which Carlyle refers to as my “mini-Chernobyls.” Carlyle has great equanimity, and he got me through it. Eventually, I toughened up--a little (not enough). When the agents were kind enough to comment, the feedback was consistent. They found it well written and highly imaginative, but they declined mostly because it didn’t fit neatly into a particular genre. It has elements of fantasy, science fiction, dystopia, mid-apocalyptic, paranormal romance, and cyberpunk. An agent’s primary purpose is to pitch a project to publishers, and there was no proven sales paradigm for such a mixed-genre YA novel. Hence, a slew of “regretful” rejections. We then began a round of queries to publishers who accept direct (un-agented) submissions. Parker Publishing was very enthusiastic about the project for their newly launched YA imprint, Moxie. Parker focuses on multiethnic literature, and it just so happens that the protagonist of The Apocalypse Gene is a teenaged girl of mixed race. Parker snapped it up, designed a cool cover, and put it out there. Carlyle and I worked very hard to get reviews via blog tours, Goodreads promotions, Facebook, Twitter, and much more. WOW: Thanks for sharing your publishing journey. That's great that you found a good home for the book and it's doing well. Switching gears a bit, you’ve mentioned people-watching and chocolate as two of your favorite things. Can you tell us what your preferred spots are for observing others? How about your first choice for chocolate? I like to imagine people in strange occupations, turn them into zombies, extra-dimensional visitors, serial killers, drug addicts, superheroes, or just plain folks facing difficult conflicts. I also like to people-watch in hospital lobbies, train stations, and restaurants. I know it’s not polite to stare, but I can’t help myself! As for my first choice for chocolate - ANY AND ALL, but no nuts, please. I’m a chocolate purist. WOW: Now all of your fans will know what kind of chocolate to bring you. Thanks so much for chatting with us today, Suki! Before you go, do you have any tips for our readers who may be thinking about entering writing contests? Suki: Do your best work, and enter. If (and when) you don’t win, produce more of your best work, and enter again. Writing is a tough gig. The only way to succeed is to DO IT. Get better, write, write, write, present your work to readers, judges, fellow authors, and agents. The road to writing success is paved with rejection, reward, disappointment, elation, and constant self-discovery. Keep going, but be aware--the further you travel, the more the road stretches on. Our Winter Flash Fiction contest is open until tomorrow, February 29th! For information, check out our contest page. Remember those car trips of your childhood? Trapped in a vehicle with people (also known as siblings) who wouldn't stop talking or kicking your seat or flicking your ear? Eating cold lunches at picnic tables and greasy fried food at questionable diners? Feeling if you didn't escape the Midwest flatness (or the mountains or the shoreline) you would go crazy? Would you voluntarily take that same trip today? West of Wawa is about taking that seemingly endless car trip except instead of family you're traveling with a revolving cast of complete strangers and instead of a few days the trip last for weeks. Loveless and jobless, Benny thinks maybe she'll find what she's looking for on a bus trip across Canada. Her adventure—like life—is a mixture of humor, horror, the unexpected, and boredom that readers won't soon forget. West of Wawa is available online at Amazon and Indigo as well as at your local bookstores. 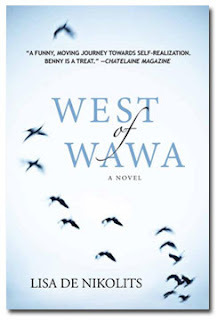 Book Giveaway Contest: If you would like to win a copy of West of Wawa, please leave a comment at the end of this post to be entered in the random drawing. The giveaway contest closes this Thursday, March 1 at 11:59 PM PST. For an extra entry, link to this post on Twitter with the hashtag #WestOfWawa, then come back and leave us a link to your tweet. We will announce the winner in the comments section of this post on the following day Friday, March 2. Good luck! Originally from South Africa, Lisa has been a Canadian citizen since 2003—although she still retains a lilting voice that causes fellow Canadians to ask, "You aren't from Canada, eh?" With a Bachelor's of Arts in English Literature and Philosophy, Lisa has also lived and worked in the United States, Australia, and Great Britain. Lisa thought she was on her way to fame and fortune when the South African edition of Cosmopolitan bought two of her poems in 1986. Sadly, the road to being a published writer was not as easy as she hoped! Throughout her writing career, Lisa has tried her hand at everything from children's picture books to short stories to novellas to feature magazine articles. Her first novel The Hungry Mirror, which won an IPPY Gold Medal for Women's Fiction in 2011, was inspired by her work as art director for magazines including Vogue and Marie Claire. Lisa is now working on her next novel Between the Cracks She Fell. WOW: Often we hear that art imitates life. Did you ever take a trip across Canada? Is that how you got the idea for West of Wawa? Lisa: Yes. I took a road trip across Canada—and yes, on a bus! I didn't get the idea for the book on that trip though—the idea came many years later after I had just been let go from a job that I thought would be the best job ever and I was feeling really down in the dumps. I remember sitting in a coffee shop and overhearing some trendy young fellows (gosh I sound about ninety!) anyway, they were chatting with great confidence about the manuscripts they were working on and I thought "I used to do that—I used to write." You see, I hadn't written in ages because I'd been busy; moving from South Africa to Australia and then from Australia to Canada and then I was employed in a job where there was a lot of travel but I didn't write at all—I was too busy working (as an art director) and creating magazines. But there I was, magazineless and jobless and I overheard their conversation and I sat up straight and thought, go home and write a novel NOW! The funny thing, is really do believe that books and stories come to me, as opposed to me chasing books or plots or stories—because this story came to me. However, in its first incarnation, it was a rather lukewarm offering and subsequently needed to be completely rewritten but as a first draft, it got the ball rolling. I have visited all the places I mention in the book but not in that order and not all at once. I've also visited other places in Canada which I didn't put in the book because they didn't have a place in this novel. The interesting thing for me was seeing the trip again through Benny's eyes—it was a different trip really—so I got to do it twice—once with myself and then again with Benny. It was a wild ride, being alongside Benny, there were times I had no idea what she'd do next or where she'd go. By the way, can I say that I think that one way or another, art always imitates life—even if one is a Salvador Dali kind of writer—our origin of idea is always our experiences but the expression or finished 'painting' has our own individual magic to thank. WOW: Do you keep a journal when you travel to record all the places you visit and your impressions? Take photographs? Lisa: I sometimes keep a journal and other times not. For example, I went to Peru for my fortieth birthday and I didn't write a thing—and yet it was a great adventure and I'm sure there was a fantastic story in there somewhere but just not one that called out to me. I photographed everything in sight bit I didn't take a single note. I wonder if perhaps there's something at work in my subconscious that tells me when I need to pay attention and keep a journal, versus the times of just being on holiday for holiday's sake. Because I did take notes of my Canadian adventure and I took notes of my trip to Namibia and they both evolved into novels. Although when I went to Namibia, I decided to write about it en route because I wanted to share everything with my husband who'd been unable to come with me. For the most part, I write about the scenery and I carefully document the weather and hours of travel and such—the characters in my book come from elsewhere. I'm not sure what my specific motivation was for keeping a travel journal when I took my trip across Canada apart from the fact that it felt companionable to do and also, I thought that when I'm (really) old, I'd be able to reread about my adventures and relive my journey. When I was thinking about your questions, I dug around my study to take a look at my journals and I must admit, my writing's terrible! I can hardly make sense of any of it—I've got no idea why I wrote with such tiny handwriting—it's all cramped together and it's nearly undecipherable. I also don't seem to have one style of handwriting—I'm not sure what that says about my personality! I write with a backslant, in all caps, then in a sort of forward leaning tiny cursive, then in big upright block letters that seem quite square and mannish—I dig hard into the paper and it's clear that I don't like to leave a single inch uncovered—I also seem to write in a hurry, as if anxious the words will leave me before they become pressed onto the page. I always take photographs. A camera is a friend, particularly when one is traveling alone. There's a great comfort in the study of taking a shot—it's a creative experience and you focus fully on the task at hand—I find it quite meditative. Your seeing eye is very different when you are looking through a camera and I find it to be a restorative experience. Back in the day though, upon returning home, I'd sort through all my images carefully and send them to everyone and print copies and stick prints up on my walls but these days I have to admit I'm too busy to do most of that—I still take pictures but I don't work on them to the same degree. I recall, when my now-husband and I were courting, I showed him my pictures of Peru and several hours later he commented that I'd documented the life span of a llama—very true! I loved the llama to the point that I subjected the poor man to a good few hours of looking at them from every angle. I have yet to write about a llama though. WOW: If you could set a future book in any spot—one you've visited or one you haven't—where would it take place? WOW: You've traveled to many different spots around the world. Have you ever used your travels in other types of writing? Lisa: As I mentioned earlier, I went back to find my travel journal for my trip across Canada and I found it in a box with a large number of hand-written short stories about South Africa and my Christmas trips back home—talk about surprises! I had no idea I'd written those short stories (or anything) on those trips. Now I'm inspired to input those and see if they're any good for anything...interesting! And I also found poems—how odd! So, were it not for this interview, I might never have looked in that box. Now I want to go through every piece of paper in that closet in my study! WOW: Glad we could help you rediscover a treasure trove! Since this is your second novel you must be an old hand a promotion by now! Any useful lessons for us? Lisa: Well, first off, I did make one mistake—I thought I could do this (promoting) without WOW! Women On Writing—big mistake! The thing is, you make it look so easy and after the success of our tour with The Hungry Mirror, I thought, I can do that, it won't take much time, shouldn't be hard at all... but then I got distracted writing a new novel that came out of nowhere and when I looked up, I'd lost three months and so I thought it's time to call the experts! So I have learned that lesson—that just because something looks easy doesn't mean it is, and that having help from friends, colleagues, and professionals is a wonderful thing. One of the things I love about what we do—the marketing aspects, I mean—is that people are so generous with their time and blogs and support—that's crucial and it validates one's writing too—it's wonderful to get response and support. I do think it's easier this time around in terms of having people endorse the book for jacket comments and things like that. I have a reading coming up at the Toronto Public Library, at the same branch I read at the last time, and so relationships have been built which is very helpful. WOW: One piece of advice you'd like to share with us about the writing life? Lisa: Writing is not for the faint-hearted. You need gumption and determination—you have to keep forging on even in the face of rejection—or worse, in the face of silence. Sometimes you have no idea at all if your work will ever see the light of day but you have to keep on writing, you have to keep the faith in yourself. If you don't stay the long, tough course then you won't make it to the finish line. I hope I'm not alarming people by saying this! I'm just saying most of the time it's you, alone, tired, and not sure if the words will ever find their place in the world but like a pilgrim on a dark road with only a candle for light, you have to keep putting one foot in front of the other. Goodness, I sound apocalyptic! Lisa: My next novel is a murder mystery set in Namibia—yes, after four years, this novel is still a work in progress but it is moving forward! I've just received a lot of great comments from my publisher about how to improve the novel and that will be my next goal; to do the rewrites and cutting and then hope that the novel cuts the mustard with my publisher. I feel as if I've been working on this particular novel forever and so now I'm going to approach these rewrites as if I've never looked at the work before. I love this book so much—if everything pans out, this novel will hopefully come out in 2013—something to look forward to—if the Mayan Calendar was wrong, which hopefully it was—I've got to many books to write for the world to end! Thank you WOW! Women On Writing and thank you Jodi! WOW: My pleasure! A murder mystery...what a new direction for you! I look forward to it. And I'm sure the Mayans will cooperate! Don't miss Lisa de Nikolits' post "The Road to Publishing is as Long as the Transcanada Highway" as well as a review of her novel West of Wawa. And stop by @wowblogtour to tell us how long you think the Transcanada Highway is—you could win a prize! 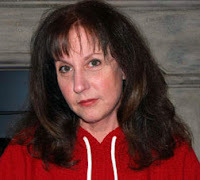 Interview with Lisa de Nikolits, author of West of Wawa, and a chance to win a Twitter contest by visiting @wowblogtour. Learn more about author Lisa de Nikolits during an interview today and stop back on Thursday for more fun! Don't miss today's review of a West of Wawa, the tale of a life's journey...by bus! Get the insider's scoop on Lisa de Nikolits, author of West of Wawa, a novel about self-discovery. Novelist Lisa de Nikolits tells readers why Canada should be their next vacation destination...and she should know, her latest novel West of Wawa is about a trip across Canada. Don't miss a review of Lisa de Nikolits' novel West of Wawa, the story of a woman's search for her life along the transcanadian highway. Lisa de Nikolits shares "Five Tips to Make You a Better Writer" and a review of her new novel West of Wawa. Don't just write postcards on your next vacation—novelist Lisa de Nikolits tells how to "Weave Your Travels into Fiction Writing." Today Lisa de Nikolits answers questions about being a novelist, the beauty of Canada, and more. All your dreams are coming true! They're publishing your book. But before you can pop the champagne the publishing house closes. Sound like a horror story? Actually, it's novelist Lisa de Nikolits' real experience. Stop by to find out what happened next! 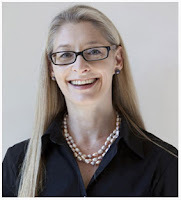 Get some insight about the drive to write in this interview with Lisa de Nikolits. If you have a blog or website and would like to host one of our touring authors or schedule a tour of your own, please email Jodi or Robyn at blogtour@wow-womenonwriting.com. 1. For your first entry, just leave a comment on this post! Leave a comment or ask Lisa a question to be entered in the random drawing. 2. For an extra entry, link to this post on Twitter with the hashtag #WestOfWawa then come back and leave us a link to your tweet. 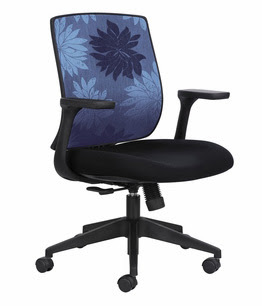 The giveaway contest closes this Thursday, March 1 at 11:59 PM PST. We will announce the winner in the comments section of this post the following day—Friday, March 2, and if we have the winner's email address from the comments section, we will also notify the winner via email. I’ve sold thirty books. I apparently have taken the first step on my path to fame and fortune. My efforts to format The Solarium have resulted, after weeks of swear words salted with hot tears, and one faulty embarrassing edition, in my e-book being offered by Amazon. Unfortunately, two friends downloaded the first version which was published without indentations. I hope that reading whole chapters as one paragraph didn’t make them as annoyed as I get when I try to read Kafka. But for $2.99, maybe they were willing to struggle a little. I managed to get a Kindle helper to put the paragraphs in for me after I had tried to do it myself five times over three days. I think my pathetic email got to him. Seeing them magically appear lifted the heavy cloak of obsession that I had worn for week. The sunlight almost blinded me. The euphoria didn’t last long, only until I reluctantly began to preview the published second version, as Kindle requests. I couldn’t imagine, now that it had paragraphs, that anything else could be wrong with my perfect story. Just in case, I kept a pad at my finger tips for notes. Seven scribbled pages later, I understood that I couldn’t let anyone else buy what I had twice prematurely clicked the “Publish” button on. I had left out words and whole lines, missed a couple of blank pages, misnamed a key character, repeated words like “laugh” too many times. 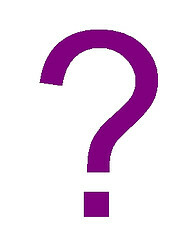 Punctuation marks had corrupted or disappeared, victims, I supposed, of an earlier editing session. However, once I corrected all this and published a third version, my indentations for paragraphs disappeared again. My Kindle helper gave me a solution which wiped out the photo I was using as an inside title page. My efforts to add the photo didn’t work, even after he sent me directions three times. 2. When you have a problem, don’t think you have to deal with it alone; ask someone. Kindle help was great for the most part. Just make sure you’ve done the editing before you ask. Jo now has two e-books published on Kindle and on iBook, The Solarium and Graffiti Grandma. 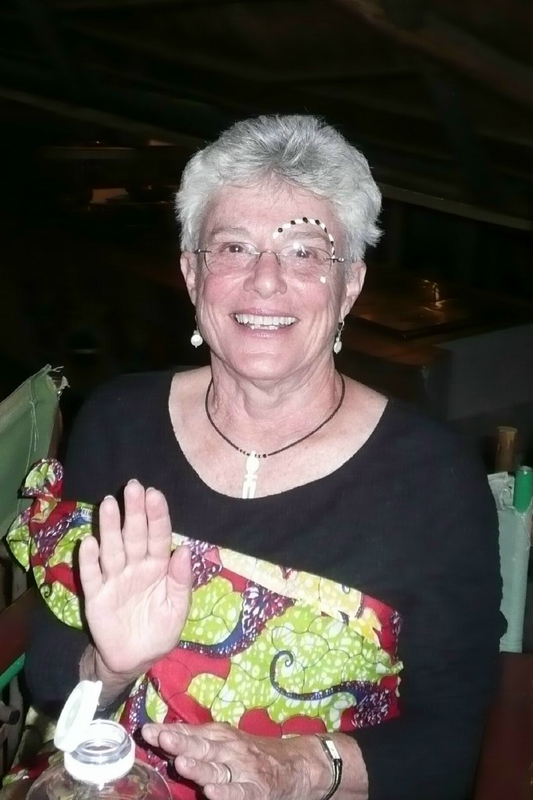 After teaching and counseling for years, she began to write nearly full time, publishing essays and short stories and winning a few awards along the way. The urge to write a novel led to four of them. The urge to publish led her to investigate the opportunities of electronic books. Now she’s fully into the marketing of these books and she finds this new venture as challenging as any other aspect of writing. Her blog is breakoutnovelarace.blogspot.com. “I am,” Harold said, laughing to himself. Eleanor was such a busybody. He would teach her to mind her own business. “So, this is some kind of joke, then?” She asked, knowing Harold didn’t have a very good sense of humor. In this scene, we are clearly in the minds of both characters. The scene has more than one point of view. So, isn’t this omniscient point of view then? Can’t the narrator know what both characters are thinking? Some may argue yes. But omniscient point of view isn’t used much today; and when used properly, it has to sound all knowing—the narrator has to know everything about everyone. That’s not happening in this short scene. There’s definitely head-hopping going on. Readers want to connect with the main character in a story. 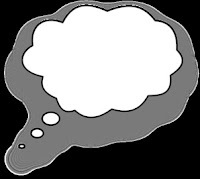 One of the best ways for writers to accomplish this connection is to reveal his or her thoughts and feelings—not just action and dialogue. Most readers love character-driven novels, so writers should strive to create a character that readers want to follow through an entire novel. Filter the story through this character’s eyes, so readers experience life like him or her. How do you fix head-hopping? “I am.” Harold smirked and shook the box. He almost glared at her, and Eleanor shuddered. Maybe he doesn’t like me very much, she thought. I revealed the same information about Harold and Eleanor in the second example as I did in the first. The difference is in the second one, the reader learns about both characters through Eleanor’s point of view. The second scene also gives readers a different opinion of Harold because they can’t see inside his mind. But thet probably have a stronger connection with Eleanor. Can you have multiple points of view? You can have multiple points of view, but these should be done on purpose and in different scenes. For example, when James Patterson writes his Alex Cross series, he often has a chapter in the killer’s point of view and then a chapter in Alex Cross’s point of view. The switching is organized and purposeful—not random or accidental. Point of view does matter. If you are reading a scene and something seems off, look to see if you have a point of view problem. Margo is teaching a new class for WOW, "Advanced Class: Writing a Middle-Grade Novel Part 2." This class is for anyone wanting to write a middle-grade novel and has at least three chapters completed. Many first draft issues are tackled, such as point of view switches. For more information, check out the class listing here. Normally on my blog days I like to give some writing tips or tell y'all about the new and exciting things going on in the writing world. Today, I have something very exciting to share! 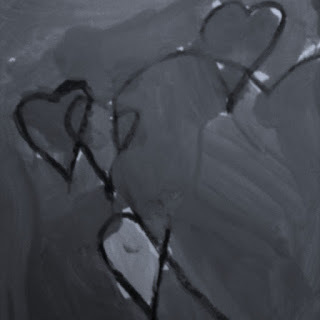 I'm hosting a writing contest on my blog, 'The Gift' for my daughter, Jaimie. As many of you know, Jaimie didn't have the easiest start to her life. But thanks to great therapists, fantastic teachers, empathetic friends and a family who never gave up, she's doing amazing today. At her nine-years of age, she already knows the importance of raising awareness through education. One of the ways she teaches others about SPD and other sensory issues is by blogging every Wednesday on 'The Gift'. She talks about what it's really like being a kid living and coping with SPD on her segment we call, "The Sensational World According to Jaimie". And the idea she came up with last week I just had to share with you. Jaimie asked me if we could have a writing contest. What she'd like everyone to do is to come over and post about your best experience ever in 250 words or less. It doesn't have to be SPD or Autism related. It just has to be something that you'll never forget and want to share. You have until February 29th and Jaimie is the judge! One lucky winner will nab a copy of Not Just Spirited: A Mom's Sensational Journey With SPD signed by BOTH Jaimie and I. How can you not want to enter? All the details of the contest are in our post HERE. This contest means so much to both of us. For Jaimie, it's a fun idea she's proud she came up with and is so excited to read people's stories. For me, it's another step along Jaimie's 'sensational' journey that I am so proud to see her take. Good luck and feel free to spread the word for us! It’s a fact that I’ve learned a whole lot more from my writing mistakes than from my writing successes. Take, for example, the chapter book debacle. The first manuscript I wrote was an 8,000-ish word chapter book called, "Eddie’s Chance to Dance." Except that I didn’t really know it was a chapter book. I just thought it was a charming tale that might be a tad short for juvenile fiction. Then somebody told me it was a chapter book. Well, okay, no need to be all smartypants about it. It wasn’t like I hadn’t heard of chapter books. I’d bought a ton of them for my kiddies. I just hadn’t…what’s the word again? Oh, yeah. Read many of them. So I thought I’d better brush up on chapter books. I checked out shelves full of these slim books from my local library and read every single one. And what I realized, after all that brushing up, was that my chapter book was not very good. Or to put it another way, Eddie didn’t stand a tap shoe's chance of getting published. I’d made a big mistake. I dashed off a chapter book before I knew much about what makes a good chapter book. It seems like an obvious concept, to research before you write, but you’d be surprised how often writers (and I’m including myself here) will write something willy-nilly and expect the world (and I’m including mostly editors here) to love it. I figured out a few things after all that reading, and not just about chapter books. For example, if I want to write for a market, say a webzine like WOW!Women-on-Writing, I’ll read a ton of issues before making a pitch. If I have a mystery novel in mind, I’ll read a couple Edgar Award winners before pounding out 50,000 words. And now that I write fiction for the kiddies, I’ve read picture books on the Caldecott Medal list, and chapter books and middle grade on the Newbery Medal list, and young adult novels on the Printz Award list. These days, I do my reading research. Whether you write children’s nonfiction or Gothic romance, there is one talent you need to develop. You must learn to rewrite based on editorial comment. For some writers, changing anything in their manuscript is torture. Others do it with ease. Me? I’m somewhere in the middle. My first experience started with an article I read on rebus writing. A rebus is a short story for pre-readers. Throughout the story, various nouns are replaced by pictures that represent these same words. The children “read” the pictures while an adult reads the text. 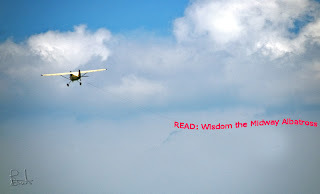 I wrote a rebus about a kite flying contest. When the acceptance letter arrived, it hinged on one thing. The editor wanted to change one character’s gender. It wasn’t an important detail to the story, but I was curious so I made a call. Ladybug’s editors strive to balance the number of male and female characters in each issue. Sometimes that means making a change, and it was easiest to do in my story. That made sense and I made the change with ease. Other rewrites are a struggle. In another instance, an editor asked me to add examples throughout my article and started the process to show how she wanted it done. I had to fight the urge to cross her examples out and replace them with my own. The examples that she included were so different from anything I would have chosen. To me, they stuck out. I showed her changes to a few trusted readers who couldn’t pick out her examples and actually thought the additions strengthened the article. I took a deep breath and made the changes. But I also learned to ask myself a series of questions when facing editorial comments. Why does the editor want this change? What problem does it solve? How? I write a lot of nonfiction and I’ve been asked to change specific vocabulary in a way that would make a piece less accurate, but I never just say ‘no.’ Instead, I try to figure out what is wrong with the original text. Is something unclear? Above the target reader? Then I come up with a fix that addresses this situation and is still 100% accurate. Rewriting. Editors don’t expect you to make every change verbatim. But if you are going to have a career in writing, you need to learn to look at what you’re being asked to do. Good editors always have a reason. Its your job to find a fix that works for both of you. It seems we've gotten a lot of e-mails lately asking us which one of the online classes we offer for children's writers is appropriate for the e-mailer's project. Writers will then describe their manuscripts and ask us to tell them what they are writing--whether it's a picture book, chapter book, or middle-grade novel, for example. This is an important question, and one that you should definitely be able to answer as you finish up your first draft and start working on revisions. Concept book: This is a picture book or even a board book for very young children, preschoolers, that teaches them something, such as colors, counting, or opposites. An example would be Pirate Nap: A Book of Colors by Danna Smith. Picture book: The audience for this book is usually preschool through second grade. It is a story that is told with text and illustrations, with an illustration on each page, such as Olivia by Ian Falconer. Chapter book: These are for those primary elementary students who are transitioning between picture books and novels. Series like Junie B. Jones and The Magic Tree House are considered chapter books. These books average about 70 to 80 pages and have a couple illustrations in each chapter. Middle grade novel: This is a novel for children in fourth, fifth, and sixth grades. It generally has between 35,000 to 45,000 words. A couple of examples are the first Harry Potter, Harry Potter and the Sorcerer's Stone, or Holes by Louis Sachar. Tween novel: Although this is not an official term, many middle-grade writers are writing a little older than their upper elementary grade school audience, but not old enough to be considered YA. These books would have 40,000 to 50,000 words and deal with a lot of middle school/junior high pressure. The Giver by Lois Lowry is an example of a book perfect for tweens. Young adult novel: These are usually considered for children 14 and older. They often deal with tough subjects and teenagers trying to navigate through their adolescent years. Books by author Ellen Hopkins would be YA. So, what are you writing? Where does your project fall? If you are interested in taking a class on writing middle grade novels or writing for children's magazines, Margo teaches both, and they are coming up at the end of February (2/22) for Writing a Middle-Grade Novel and the beginning of March (3/5) for Writing for Children's Magazines. 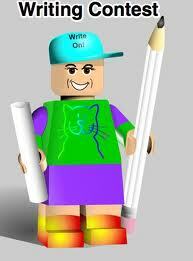 Classes are also offered in writing a picture book and writing for young adults at different times throughout the year. For more information, go to this link and click on the class you want to register for. Well, Mari McCarthy has done it again. 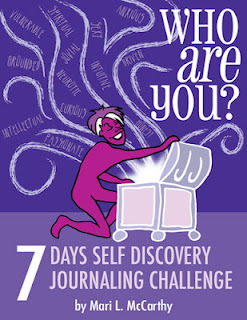 In the newest book in her journaling series, WHO Are You? 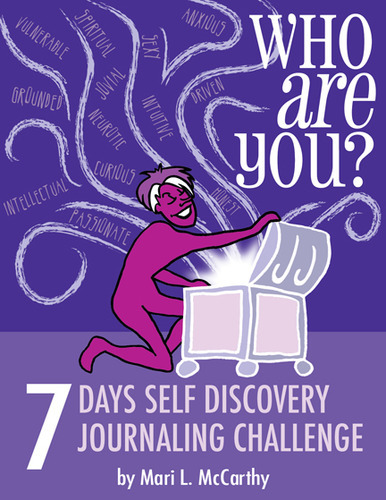 7 Days Self-Discovery Journaling Challenge, she gives writers the perfect head-start to writing, journaling, or just discovering who we are beneath the surface. She starts by sharing us the aim of her book which is to answer questions we often avoid answering such as, "What kind of person am I?" and "What are my dreams and fears?" or even "Where have I been and where am I going?" The only rule Mari has is that we need to go through each of the seven days consecutively, doing all the exercises. Other than that, there is no right or wrong. Each chapter is set up with an introduction to the chapter's theme, a couple of exercises then tips on how to 'Focus on YOU'. She even gives you a few sample sentences to prompt your creative juices. Each chapter leads into the next, which is why Mari stresses the importance of doing them in order. The chapter I found most difficult to tackle was Day 5: Courage. You'd think that a person who has two memoirs under her belt would have no trouble writing about things like why I avoid the truth or why I think I shortchange myself or what I'm afraid of. But it was both terrifying and refreshing to complete this section. "Courage can be found in the folds of your beliefs," Mari says. "What do you believe?" It was tough to start but as I wrote, I felt myself opening up. I won't ruin the joy of this book for you, but I will say I think every writer out there should pick up a copy. It helps get the words out using the art of free-flow writing--that's where you're writing without thinking or trying to be perfect (which many of us writers tend to do). It's all about learning about our inner selves and bringing that into our writing. I sure wish I'd had Mari there with me when I was trying to get the words out for my memoir White Elephants. Initially, I had so much trouble bringing the words--the right words--out. Without even knowing Mari, I used the very same tactics to help me calm down, work through the anger and tell the story the way it should be told. Thank you, Mari, for sharing yet another helpful tool to keep our writing strong and keeping our words flowing freely. And, as you always say: WriteON! ...I learned from Erma Bombeck. When I was about twelve years old, one book on my Nana's shelf always intrigued me. 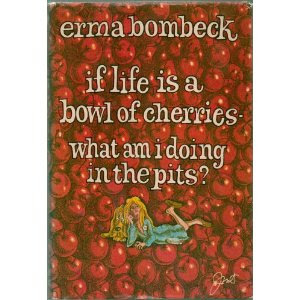 Red cherries splashed across the cover and the title was If Life Is a Bowl of Cherries, What Am I Doing in the Pits? Huh? Finally, she offered to lend me the book. That was my introduction to Erma Bombeck. Erma wasn't like any of the moms I knew: she was grumpy and funny and occasionally wore her pjs in public. About a decade later I still had Nana's old Erma Bombeck book, one new baby, and no career. Then the bat got into the house. After rendering our house bat-less, with the help of a crabbing net and one maniacal cat, the story poured out of my pen. I sent it off to Central Penn Parent without much optimism. After all, I only spent 20 short minutes writing it. Perhaps that's fitting since it only took them two short weeks to buy it. 1. You might think you lead a boring life, devoid of adventure, unworthy of being captured in ink. But millions of people are leading that same life and would recognize themselves in your slice of life essay. 2. A story about "the funny thing that happened today" isn't an essay. Essays have hidden meanings. After they read it people have to think, "that was really about..." You're the writer. It's your responsibility to make the connections between real life and deeper meanings. 3. It's harder to make people laugh than to make them cry. And they'd rather laugh. 4. Dialogue is invaluable to an essay. Nothing can get your point across like a quote from a four year old. 5. Kids see through all the politeness of life to what's really going on. And they are infamous for coming right out with the truth everyone is thinking. It's OK to steal ideas from your kids. After all your writing is keeping them supplied with ice cream and juice boxes. Erma Bombeck recorded the foibles of her life for 30 years in her syndicated column At Wit's End and several bestselling books before her death in 1996. But her spirit lives on in the Erma Bombeck Writing Contest. If you have any humorous or human interest pieces of 450 words or less you still have time to enter. The deadline is tomorrow! You can learn more about the contest here. 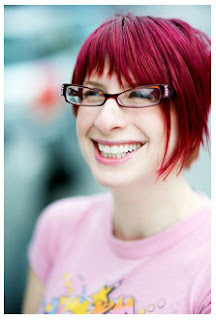 Jodi Webb's essays have been published in national magazines and books. Recently she even recorded one for National Public Radio. She will be teaching "Let Me Tell You a Story: Personal Essays for Beginners", a WOW class beginning on March 20. When she isn't writing essays, Jodi writes magazine articles, organizes WOW Blog Tours, and shares her favorite authors at Words by Webb. Lately, I have been doing publicity for a new book and I have been comparing publicity to the Super Bowl. Asking people to care about your book is like being in the stands at the Super Bowl and right after a tremendous touchdown play, when the crowd is the loudest, you call out, "Read All About It! Get the latest info on my new book right here! Read All About It!" But that's about the way of it. What we all want is to be one of those million-dollar TV ads that will be talked about for days. Or, you want to grab the PA system and make a long announcement over the loud speakers, with the instant replay screen showing your book. All out of my league. But let's carry the Super Bowl analogy further and find 5 tips for book publicity. 1. Wise timing. Time your publicity efforts to times when people are likely to notice what you are doing. Before the game, after the game, half-time--these are times when people are not engrossed in the game itself (or in the game of life) and might pay attention. For book publicity, look for quiet times in your community, when you can make a splash. Try the Summer Reading program at the public library, or a neighbor's book club. These "quiet" places are ideal because you'll capture people's undivided attention. Notice those planes that fly around the stadium carrying a big banner? What you want is something that makes people look up from their game of life and take notice. Think about publicity that will allow you to make people look up. A party, a whacky ad, a hilarious book trailer. Make your audience look up from their busy lives. 3. Go with the situation. What entertains people at the Super Bowl. Well, yes, the game and the pageantry. But what else? The Beach Ball. What can you do that will take very little effort, but can be seen from across the stadium? What is the situation you find yourself in and is there something fun and simple to do? A big beach ball with your book info on it, would have been great at the Super Bowl. Maybe, you can do a Facebook quiz that is equally fun and simple. 4. Build your Network. If you are standing at the SuperBowl, and you choose a quiet moment to lean over and tell someone about your book, great. You reached one person. But if you Tweet and ask your friends to tell just one person about your book, how many do you reach? Depends on your Network, or how many people are following you. Start immediately to build that network! 5. Giveaways. There are giveaways and then, there are giveaways. If you stand outside the stadium with a box of books and tell people that if they stop and talk to you, you'll take down their name, then call two people and give them a free book--well, not many takers, right? Giveaways can be effective, though. GoodReads runs a Giveaway program for new titles that can draw as many as 1348 entries. And Amazon is now experimenting with giveaways through their KOLL (Kindle Owner's Lending Library) program and for books enrolled in their Amazon Prime promotion. See what one author has done here and here. Don't get lost in the noise and hubbub of the Super Bowl. There are better ways to shout out online and offline, "Read all about it."